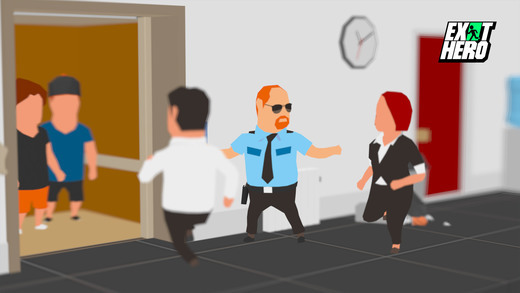 Home #ADDICTIVE Exit Hero – Is This The Best Security Guard On Earth!? 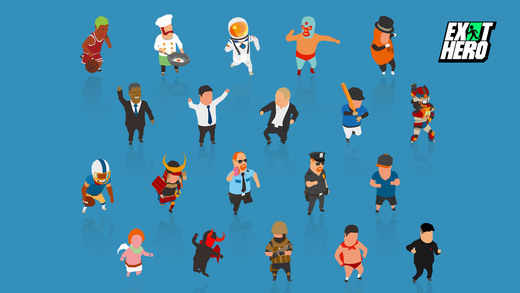 Exit Hero – Is This The Best Security Guard On Earth!? 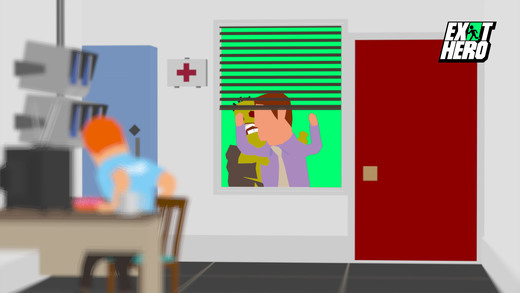 Suddenly a man bangs on your window before swiftly getting tackled by a massive green zombie! “What would you do in this situation?” If you are anything like us, chances are your first thought would be to RUN!!! What this security guard does next will shock you…! ⬆️ A perfect example of Click Bait? 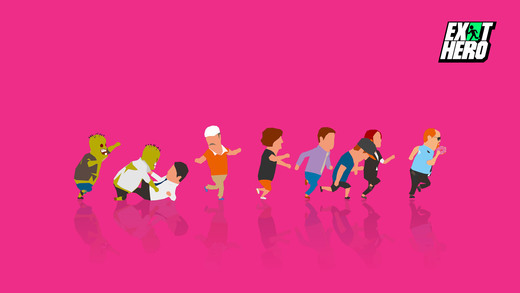 The game is played a little like a puzzle game and requires you to move logically rather than quickly. Each floor/level is made up of 3 rooms containing panicked people and a number of zombies all standing their ground. Why doesn’t anyone think about running away…? 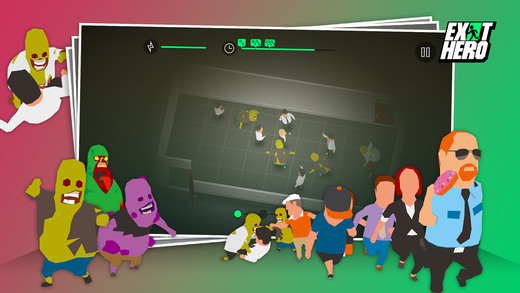 As long as you have the ability to think quickly and logically + the ability to execute your logical plans without accidentally meeting up with a zombie, chances are Exit Hero is a game you’ll find challenging and fun but never overly difficult. With remarkably high-quality 3D graphics, a simple swipe control gameplay system, and a massive 99 levels to keep you entertained, this is one of the most peaceful zombie game’s we’ve ever reviewed. Seriously your player’s primary weapon is a doughnut!